Freedom 251 will going to be most affordable Android Smartphone of the World . 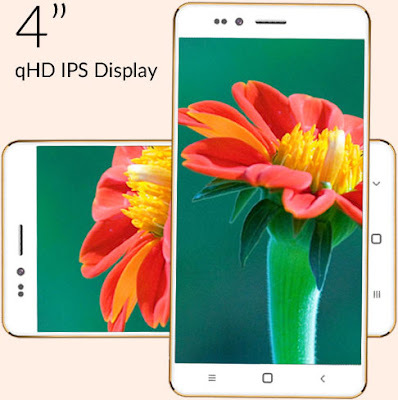 Here are All the Specs , How to Buy Guide , Release date of Freedom 251 , Price . Freedom 251 will come with 4 inch (10.2 cms) qHD IPS display , 3.2MP AF Rear camera and 0.3MP front camera . 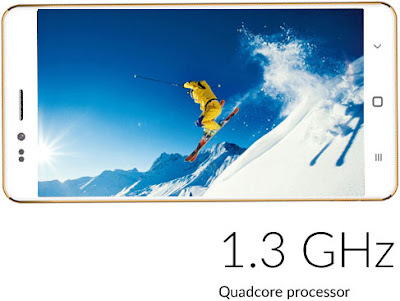 The Smartphone will come with 1.3 GHz Quadcore Processor capable of fast and responsive performance. 1GB RAM and 8GB internal memory and SD card support (expandable up to 32GB) . Freedom 251 will come with Android 5.1 Lollipop out of the box , other features include 1450 mAh battery , 3G support , 1 year warranty and pre-installed safety applications . The smartphone will be revealed Today ( 17 Feb 2016 ) at Nehru Park ,Delhi by Ringing bells . They will launch Freedom 251 and and some service centers in India . The smartphone is priced at ₹ 251 only ( USD 3.660 ) . This is the world first affordable Android smartphone . Freedom 251 will be available online , Booking will start from 18th Of Feb ( from 6AM ) to 21 Feb 2016 ( till 8PM ) . Each and every one will get a chance to Book Freedom 251 . The smartphone will get delivered till June 30 , 2016 . You can buy Freedom 251 from "Freedom 251 website" ( when available from 18 Feb ) . If you are reading this Article , then of course you already have an Amazing smartphone . But sometimes we need a backup and when this backup smartphone is available for just INR 251 ( 3.7$ Approx ) with great features , then one should probably go for it .